Tom Brady led the Patriots to a wild 36-33 comeback win over the Texans at Gillette last Sunday. 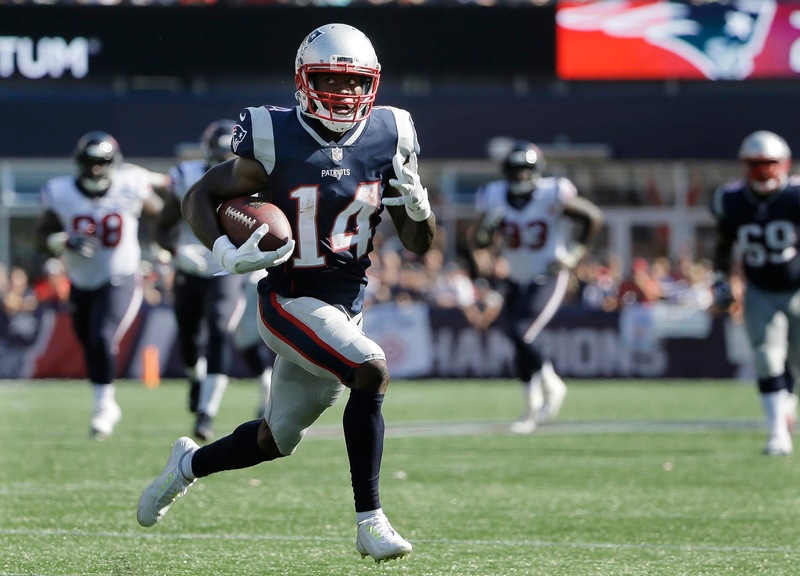 While the result turned out alright, Houston, led by rookie QB Deshaun Watson, exposed some serious flaws in New England's gameplan on both sides of the ball. Now, the Pats will be looking to bounce back when Cam Newton and the Panthers come to town. After completing over 70% of his passes against one of the league's best front sevens for a whopping 378 yards and five scores, I don't think there should be any doubt at all--Brady is completely, totally, 100% matchup-proof. Start him without any qualms whatsoever. To be sure, he's bound to have an off day once in a while, but judging based on his performance so far that will be a fluke more than anything else and you shouldn't try to guess which week it will occur. 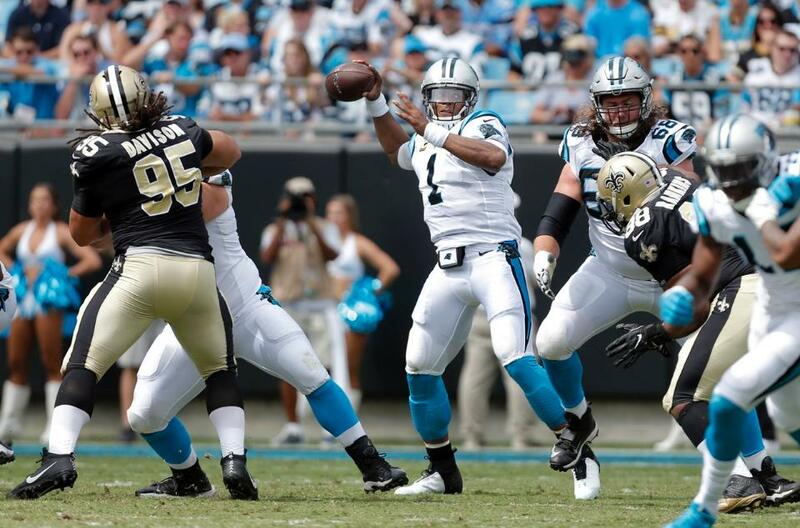 As far as the Panthers go, the entire offense has struggled to score and Cam Newton has to shoulder a fair amount of that blame. He tossed three picks against the Saints last week and hasn't topped 230 passing yards in a game yet this year. He's still a starting option in very deep leagues or if you don't have a capable backup, but if you haven't already now might be the time to look for a long-term replacement. The Patriots moved away from the run last week after their entire running back stable was largely ineffective. Against Carolina's stout defensive line, expect them to maintain that approach: While Mike Gillislee may get a crack or two at the goal line and opportunities in short-yardage situations, he might not be asked to do as much on first and second downs as usual. That could lead to an uptick in work for James White, who saw five carries last week, but it will more likely create greater opportunities for him in the passing game--White is coming off a relatively quiet week, and the Patriots might elect to use him to wear down 34-year-old linebacker Thomas Davis in space. 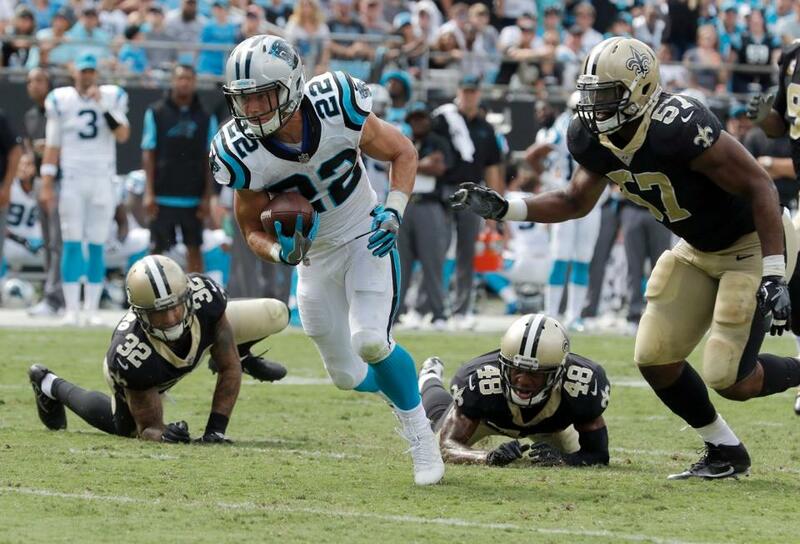 For Carolina, rookie Christian McCaffery has quickly established himself as the offensive hub. The Stanford product and first-round pick collected 101 yards on 9 catches last week. While part of that was due to the Panthers playing catch-up for most of the game, the breakout performance put his versatility and agility on full display: to effectively defend him, the Patriots will have to match up with McCaffery both as a running back and split out as a receiver. While ground-and-pound back Jonathan Stewart may vulture some carries (and red-zone touches), it's tough to imagine him suddenly becoming fantasy relevant after posting back-to-back single-digit performances. 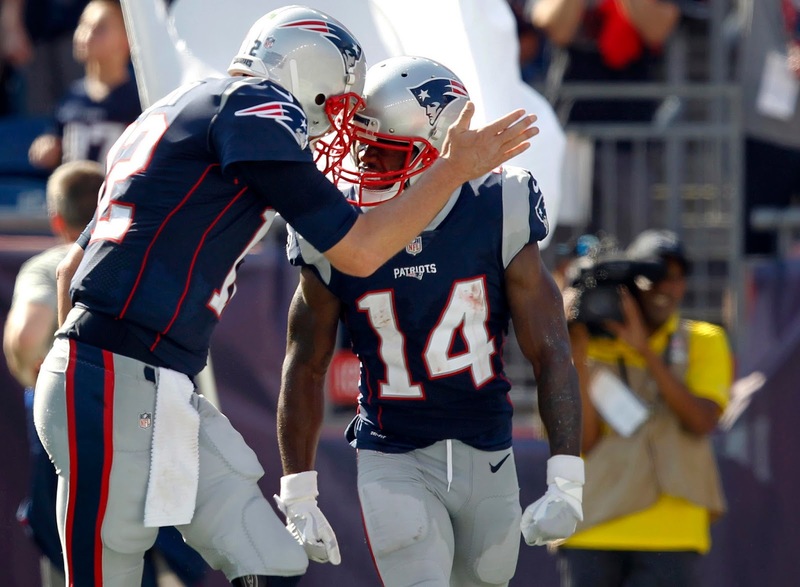 Just last week, I was speculating that Brandin Cooks might not break out anytime soon. Boy, was I wrong. 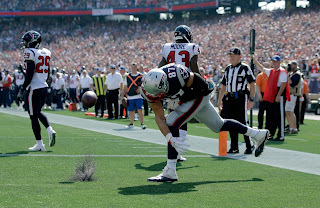 After a 131-yard, 2-TD showing (including the game-winner with around 20 seconds left), "Cookie" has officially earned the trust of Tom Brady and become fully integrated into the New England attack. While expecting a 25-30 point encore is too much, Cooks is positioned for another big game against Carolina--after all, Ted Ginn Jr. just burned the entire defense for a 40-yard score last week. 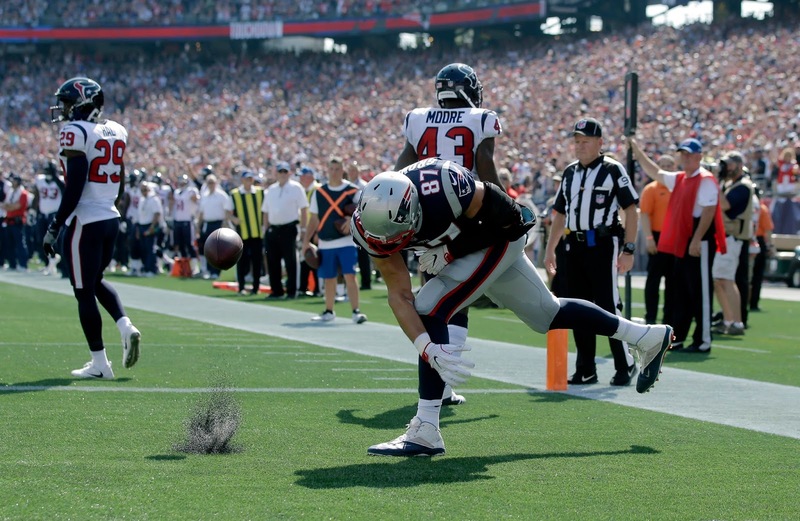 With Cooks working as a situational deep threat, Chris Hogan should continue to soak up targets underneath. Once again, another 2-TD performance is beyond reasonable expectations, but if he continues to get open like he did last week Hogan will be another solid flex play. Finally, one of the biggest surprises from last week was Danny Amendola's involvement. In his return from a concussion, the slot man caught only three passes for 48 yards (27 of which came on a clutch 3rd-and-18 conversion on the game's final drive). While he may see more targets this week over more snaps, predicting how the Pats will ease him back into the offense is a tricky game. It might be best to ease him back into your fantasy rosters as well over the next week or two. On the Carolina side, the Panthers have two of the tallest starting wideouts in the league with Kelvin Benjamin (6'5") and Devin Funchess (6'4"). However, Benjamin is coming off a knee injury and Funchess has been merely solid in a supporting role. Unless Newton begins to throw them open and create opportunities, the pair won't be relevant this week in most formats. Rob Gronkowski is set to draw a tough matchup with star Carolina hybrid 'backer Shaq Thompson. But Gronk is Gronk. As long as he's healthy, he should be in your roster. Case closed. The Panthers, on the other hand, haven't yet found a suitable replacement for Greg Olsen after he broke his foot in Week 2. Unless you're really desperate, Ed Dickson shouldn't even be rostered, much less in your lineup. Hard pass. The Patriots defense has been one of the worst in the league thus far. While they had an solid showing in New Orleans as far as points allowed, they turned around and allowed 33 points to rookie Deshaun Watson and one of the league's worst offenses. The Panthers have put up only 43 points through three weeks (23 of which were against San Francisco in Week 1) but they've still got a solid QB in Cam Newton and an explosive playmaker in Christian McCaffery. At the same time, the Patriots defense is due for a bounce-back outing as the coaching and chemistry improve, but up until now it's been near-impossible to predict whether or not they'll completely fall apart. Ordinarily, there would be potential here, but I would take a wait-and-see approach to be safe after two terrible performances in three weeks. However, the fantasy outlook for the Panthers D is much clearer: going up against a loaded Patriots O in Foxborough, leave them on your bench his week. Kicker-wise, both Stephen Gostkowski and Graham Gano are quality options. No changes there.